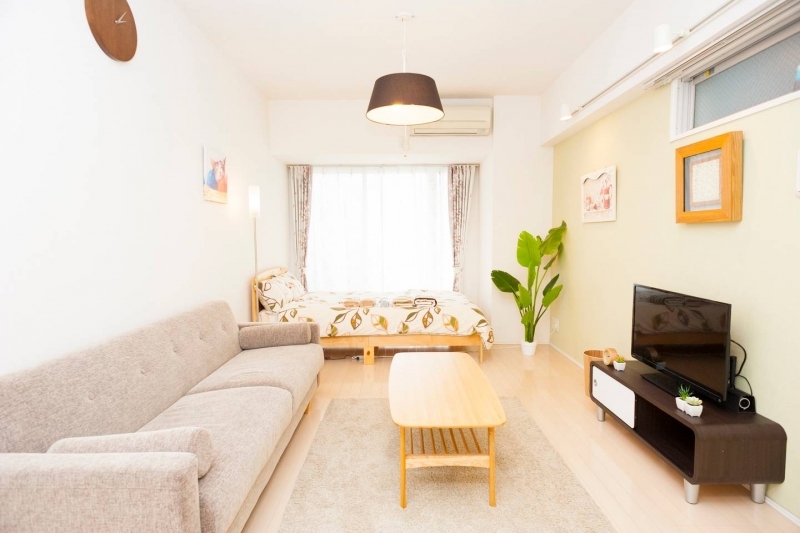 These Airbnb apartments with five-star ratings and positive reviews from previous guests can be your family’s home away from home in Tokyo. Home to attractions like Disneyland, DisneySea, Sanrio Puroland and a variety of zoos and aquariums, it’s no wonder that Tokyo is fast becoming a favourite destination among families. 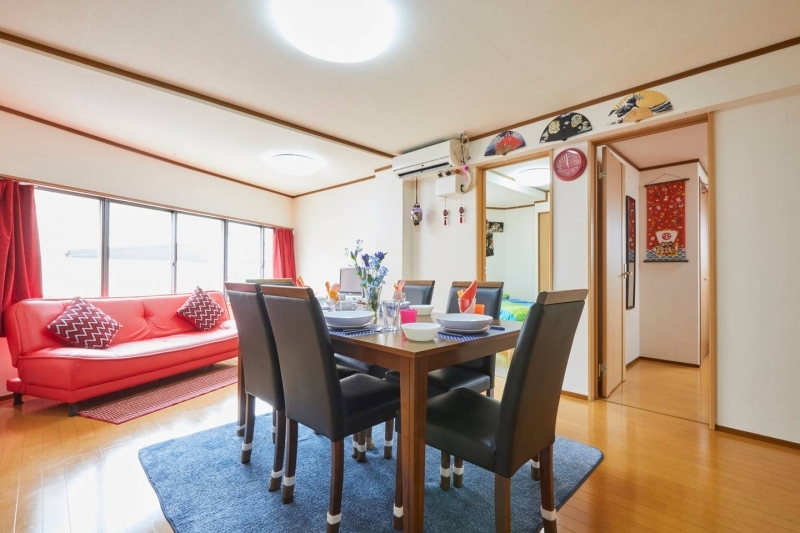 However, the logistics involved in planning a family trip to Tokyo – or any destination for that matter – can be frustrating, with a variety of considerations to take into account. 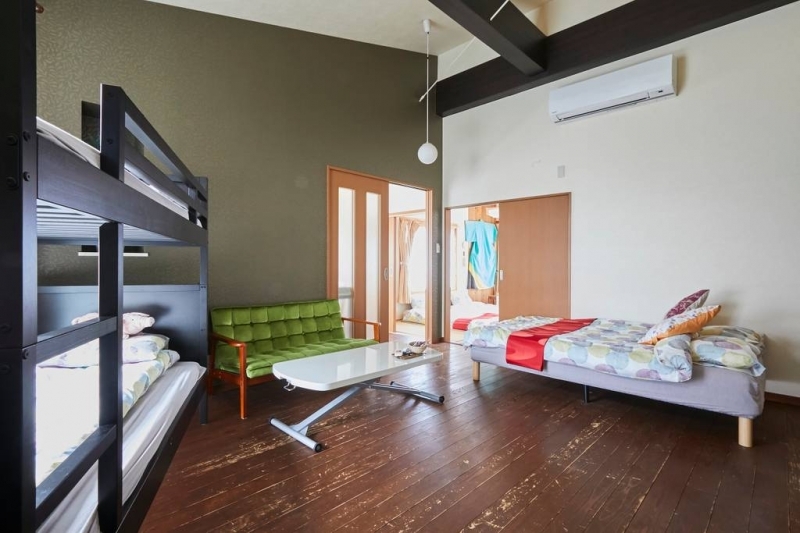 To simplify the planning process, we’ve handpicked ten highly-rated Airbnb apartments in Tokyo that can fit the whole family. Why Airbnb? Well, for one, some hotels require the family to split into two rooms, which is not the best option for family bonding – or for the wallet! 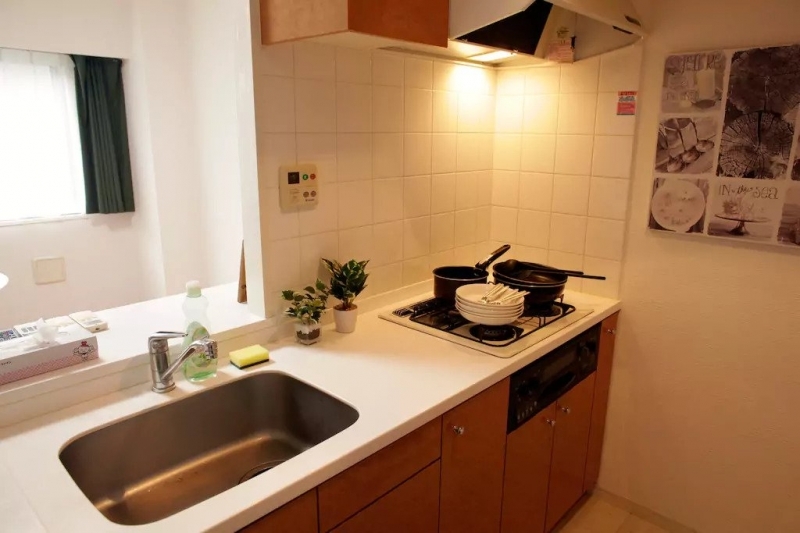 These Airbnb apartments, on the other hand, will keep the whole family under one roof and on top of that, some of them come with a dining space, a fully functional kitchen and even freebies like a portable WiFi router. Without further ado, have a browse and make your picks. The kids will thank you later! 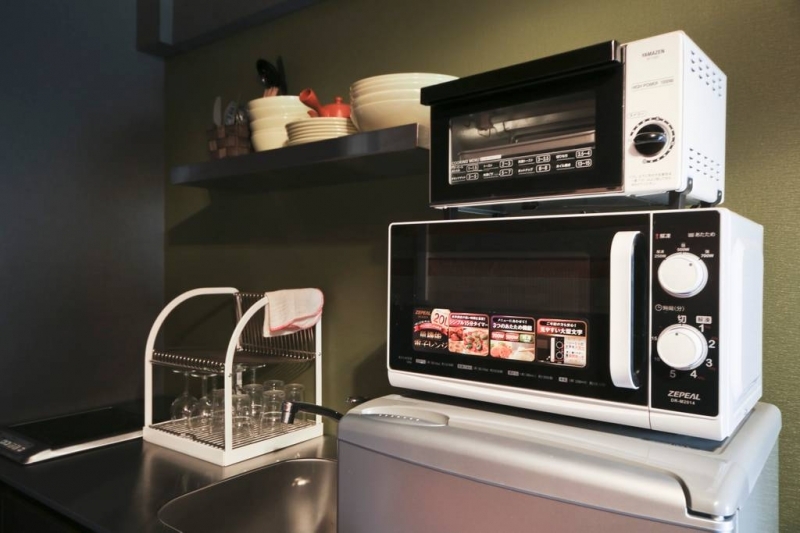 Colourful and cosy, this Airbnb apartment is equipped with everything you need for a short stay – kettle, microwave, stove, and even a washing machine. On top of that, the highly communicative host stocks up the fridge with complimentary water, beer and chocolates! 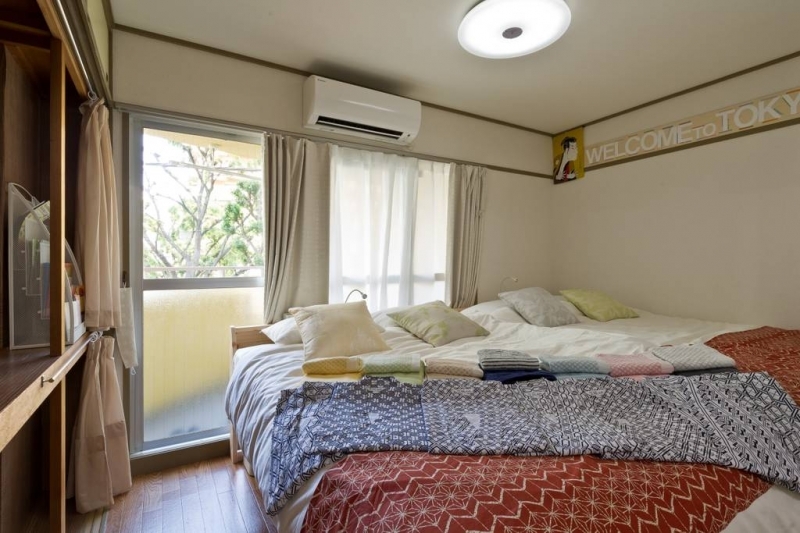 This apartment is close to two metro stations, Nishi-Shinjuku and Okubo, and is a stone’s throw away from multiple convenience stores and cheap restaurants. 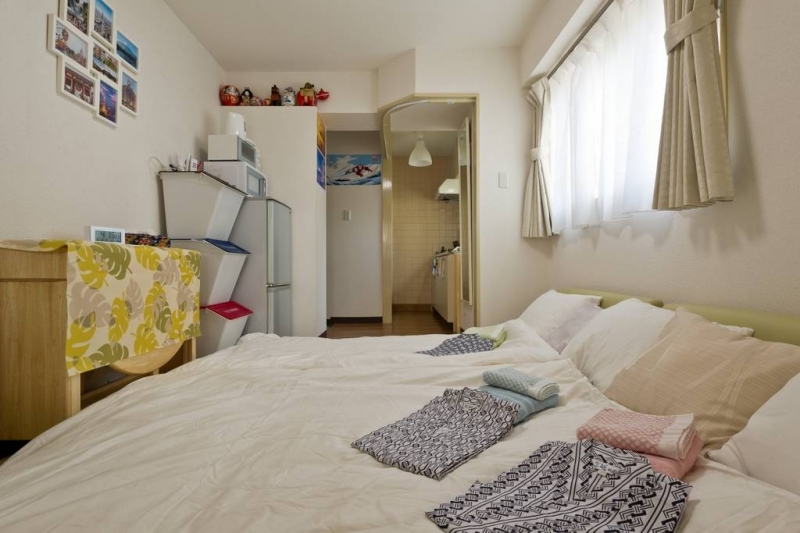 At the rate it’s going for, this apartment is truly a value-for-money accommodation in Tokyo for families! 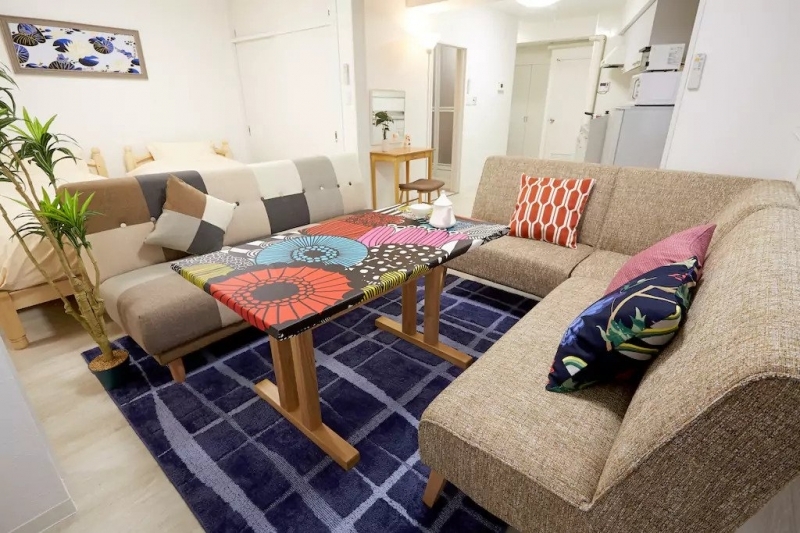 A short stroll from Gotanda Station, this studio apartment is easy to find thanks to the host’s detailed map and instructions. The apartment comes with towels, kitchen supplies and pocket WiFi. 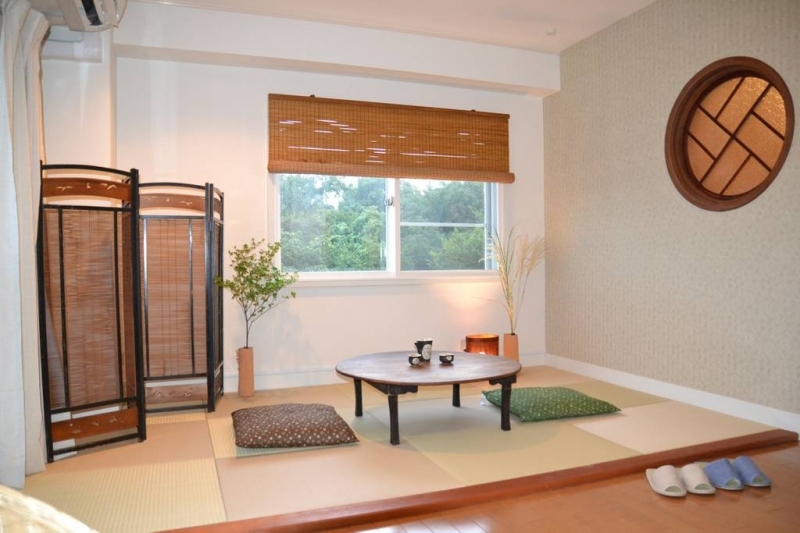 While it looks small, the room is spacious. The sofa can be converted to a bed and two mattresses can be laid on the floor, accommodating a family of five. To top it off, both Aqua Park Shinagawa and Togoshi Ginza Onsen (children are welcome) are less than 15 minutes away by foot. 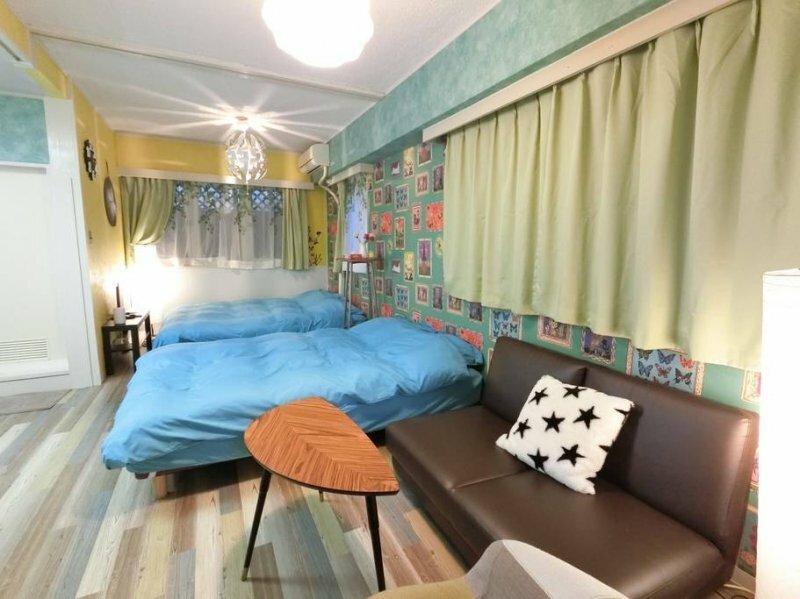 This one-bedroom Airbnb apartment has been described as “family-friendly” by multiple previous guests, so you can’t go wrong with it. It is nestled in a quiet neighbourhood with easy access to convenience stores and eateries, including the Michelin-rated Konjiki Hototogisu, a ramen shop well-known for its shellfish broth. The bedroom has two double beds while the living room is furnished with two single beds and two sofa beds – all with fluffy blankets, no less! 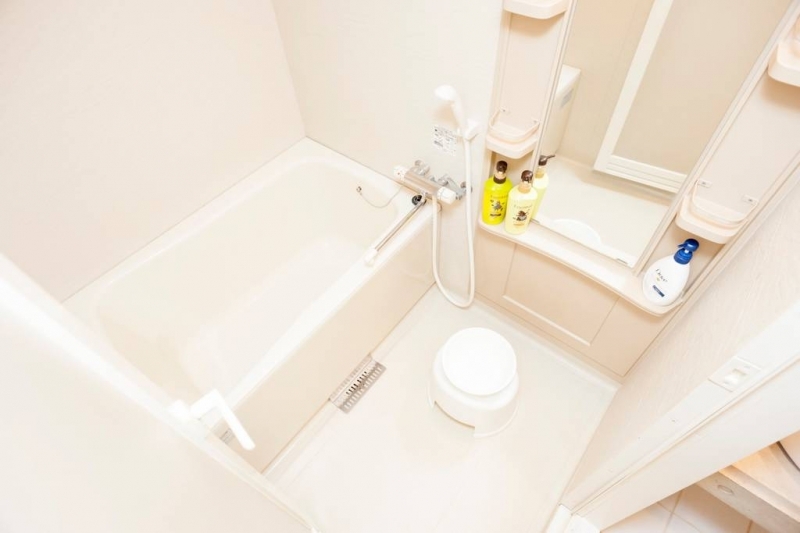 The bathroom is also fitted with a huge bathtub for that much-awaited soak after a long day out. 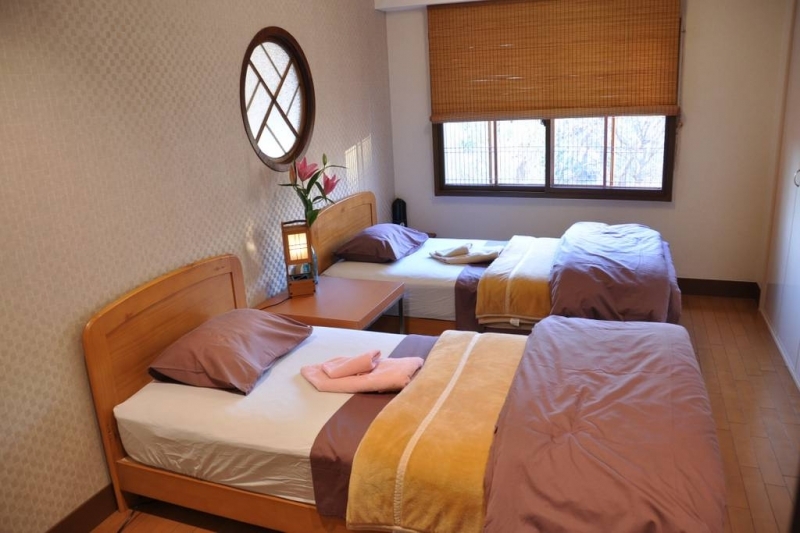 Listing name: ShinjukuGyoen 5 mins walk from apt! Free WIFI OK! 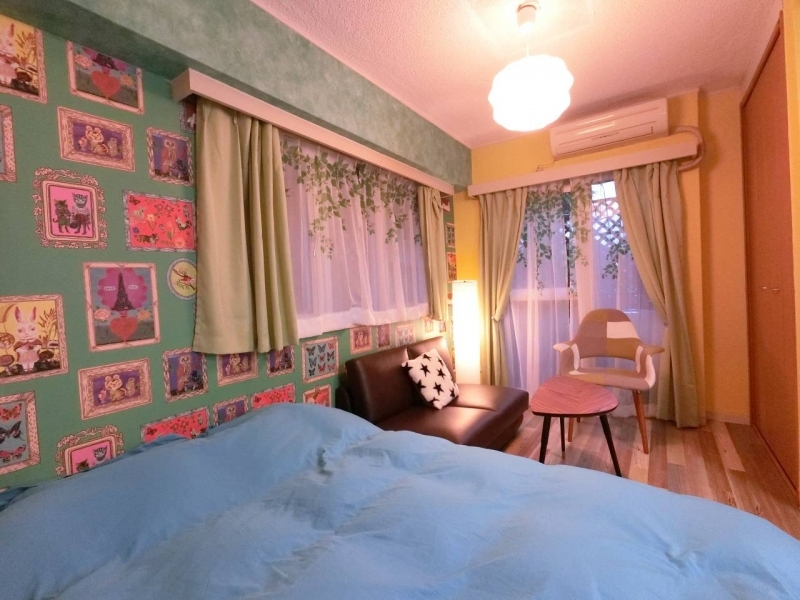 A sunny apartment with windows and a small balcony, this Airbnb is located in a quiet part of Shinjuku, near both JR and Metro stations. It has a bedroom with two comfortable queen-sized beds side by side, a small kitchen, as well as a separate toilet and shower room. 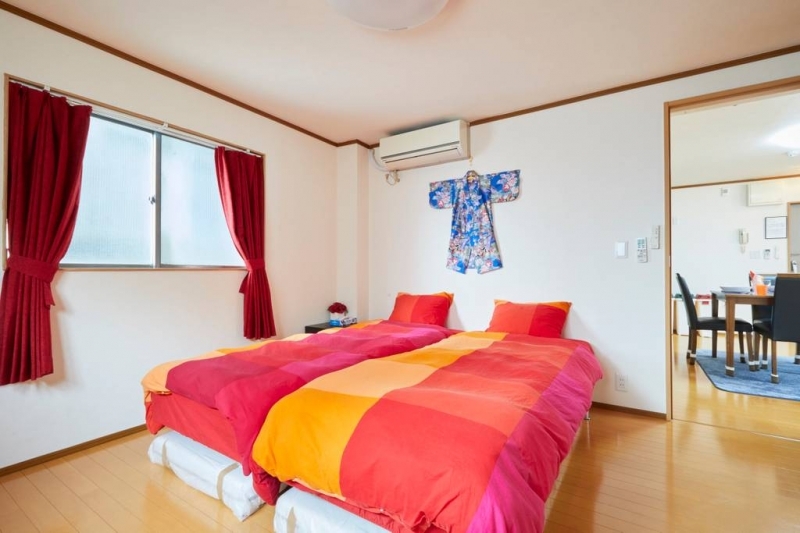 On top of toiletries, coffee and tea, and condiments for cooking, the host also provides yukata (cotton kimono) for guests to wear to sleep. Don’t miss the nearby Shinjuku Gyoen Park which is an excellent place for a morning stroll. Listing name: Ikebukuro Sation Very near House! !2Wifi to offer!! 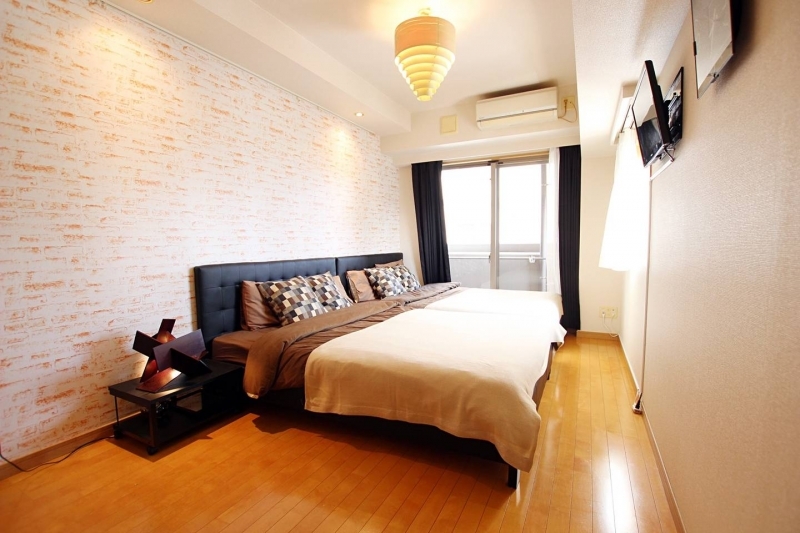 If you’d like to base yourself in Ikebukuro, this apartment will satisfy your needs for sure! 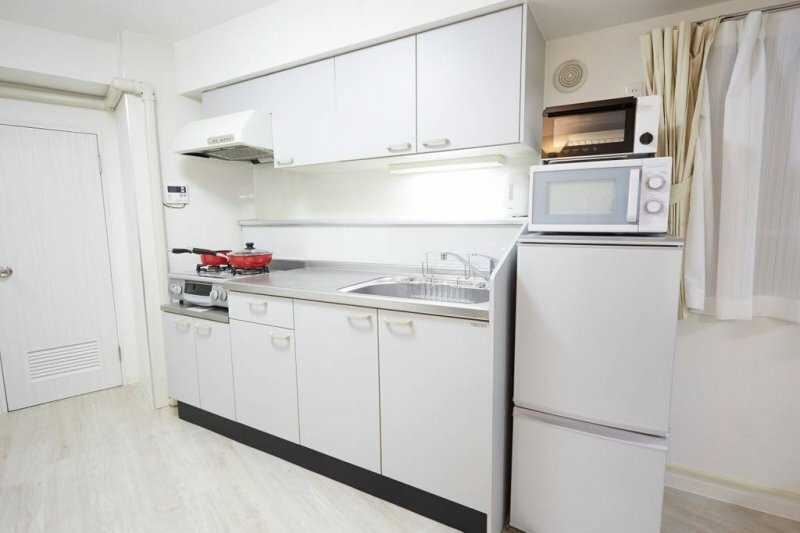 It is armed with a microwave, fridge, oven and hairdryer, as well as the little things like towels, slippers and house supplies. On top of that, the host provides in-room WiFi as well as a pocket WiFi for outdoor use. 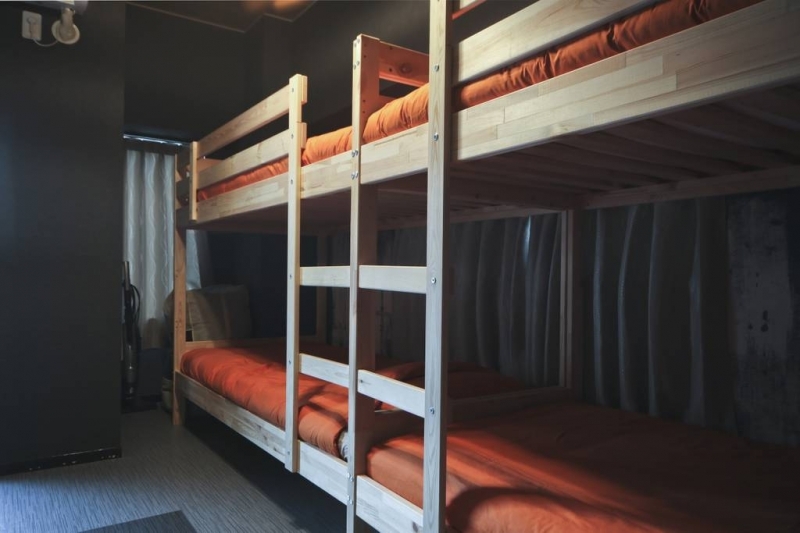 Do note that despite the space-saving bunk beds, the apartment is on the small side and can be a squeeze for six guests. That said, it more than makes up for it with its excellent location. The Ikebukuro district (including the Pokémon Center) is easy to reach by foot, and the nearby Ikebukuro station is the hop-off point to the rest of Tokyo. 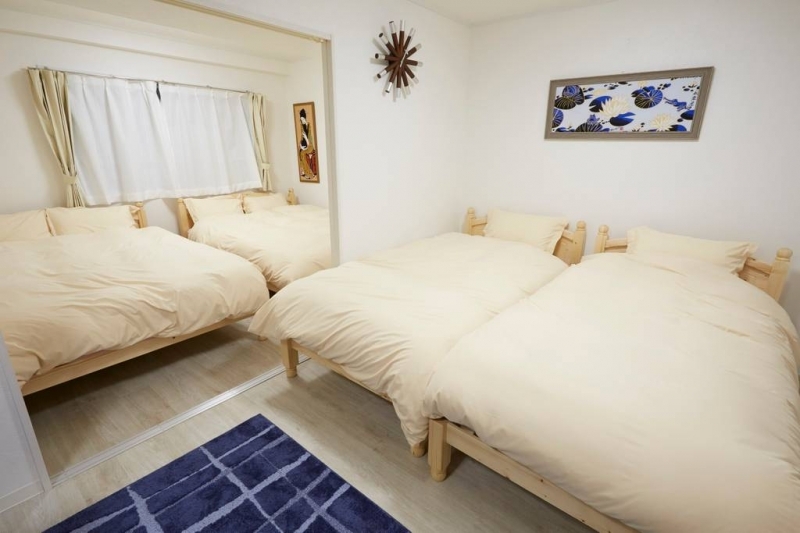 Similar to the previous listing, this apartment has a five-star rating and is located near the hustle and bustle of Ikebukuro. The large window lets the sunlight seep in and there’s enough space for light cooking in the kitchen. 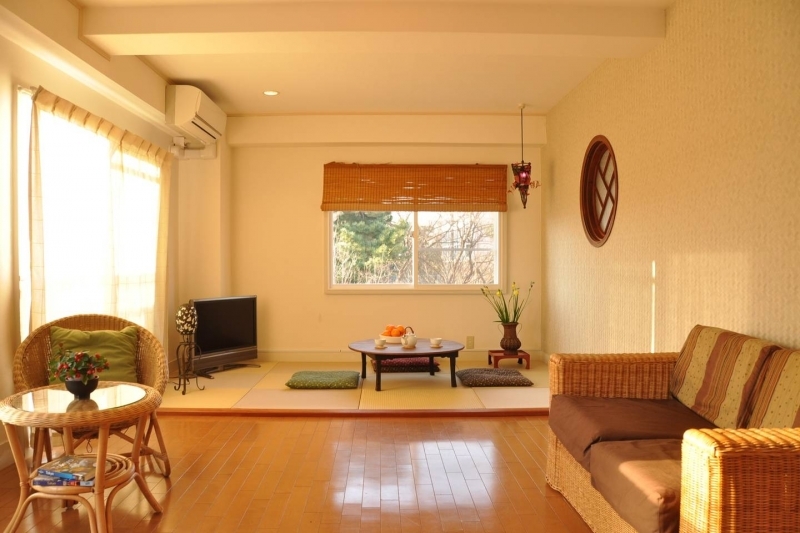 While the maximum capacity is six guests, it is more comfortable for a family of four or less. Restaurants are aplenty in the vicinity and guests can take their pick from sushi, wagyu, ichiran and ramen, just to name a few. On top of that, departmental stores like PARCO and Seibu are nearby, and a 7-Eleven is right under the apartment building. Listing name: FAMILY HOME★TRAIN 1min!★FOOD AREA★AIRPORT DIRECT! 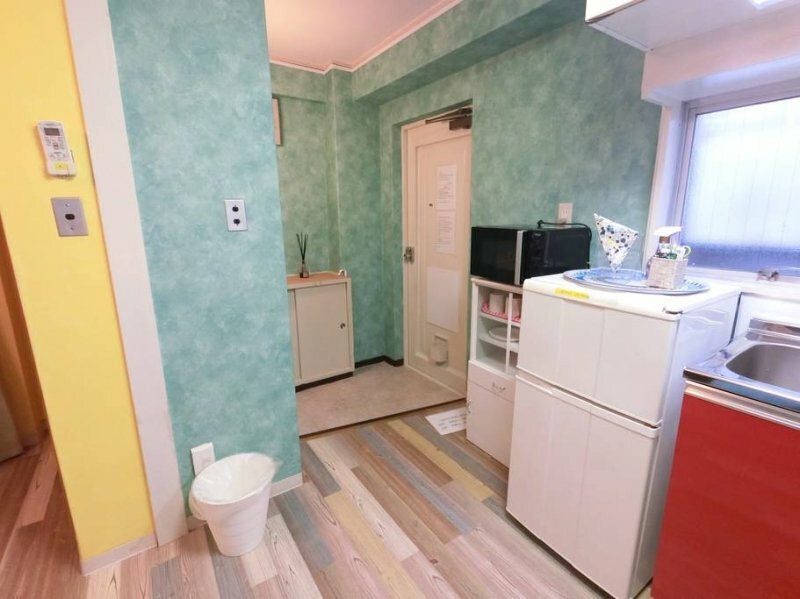 This apartment in Arakawa, just one minute from Machiya Station, is advertised as a “family home”. The hosts, Brad and Seiko, are extremely helpful and will go the extra mile to answer queries and resolve any issues. They'd even pick up guests at the train station whenever possible. 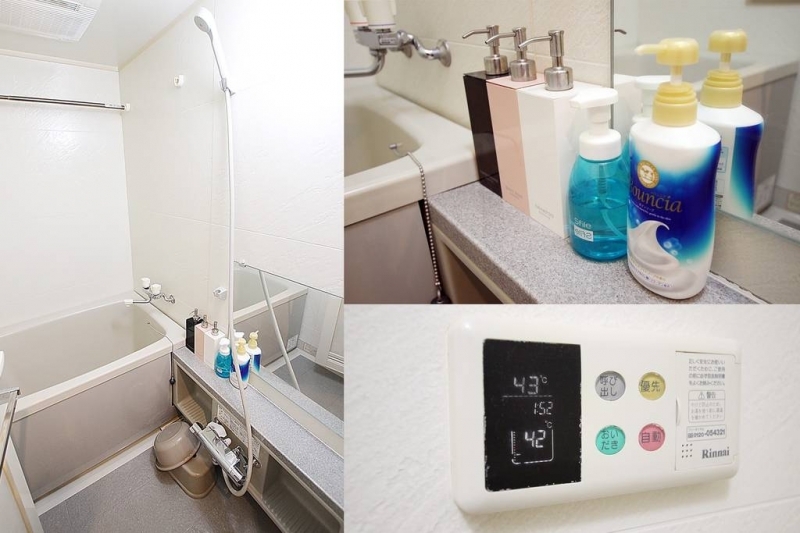 The apartment is spacious and the little touches, such as an informative guidebook and complimentary drinks and snacks, will start your Tokyo trip on an excellent note. Should you need to do laundry, there is a washing machine for cleaning and a balcony for drying. Surrounding the area are cafes, bakeries and dessert shops, as well as a supermarket for takeaway sushi and bento. 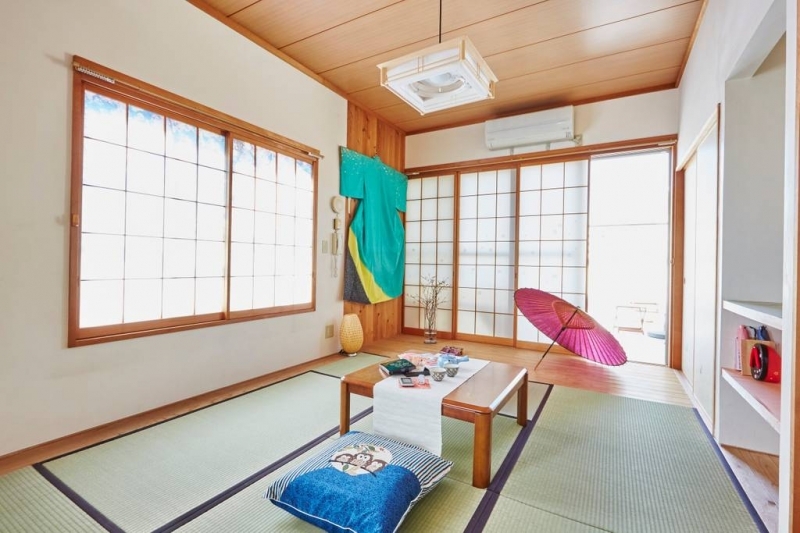 Slightly further away (eight minutes by foot) from Machiya Station but within the same Arakawa neighbourhood is this huge traditional house. Staying here offers a glimpse into the life of locals, an experience that is starkly different than staying in a typical hotel room. 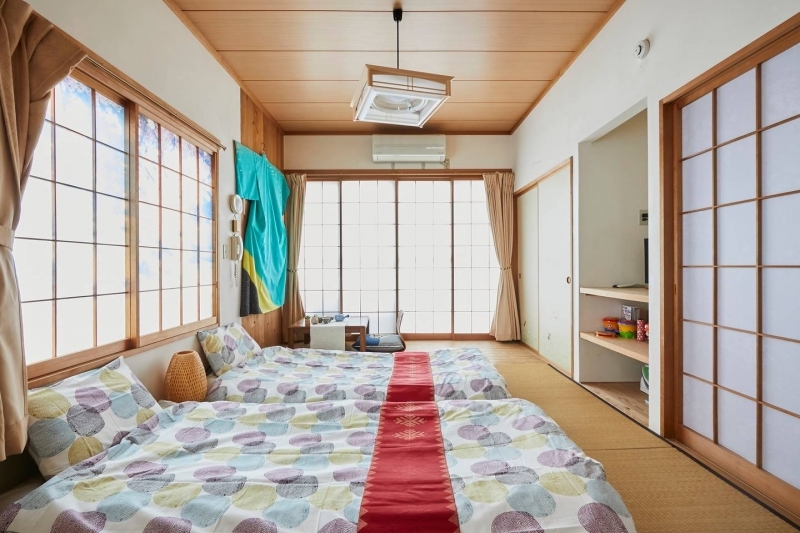 While there are traditional touches, such as the tatami room with futon beds, the house has modern conveniences to make your stay a comfortable one. The street leading to the house is lined with a variety of takeaway food outlets offering not only Japanese food but also Italian, Chinese and Korean cuisine. The large rooftop balcony is a wonderful place for the family to gather and enjoy dining outdoors under an umbrella. 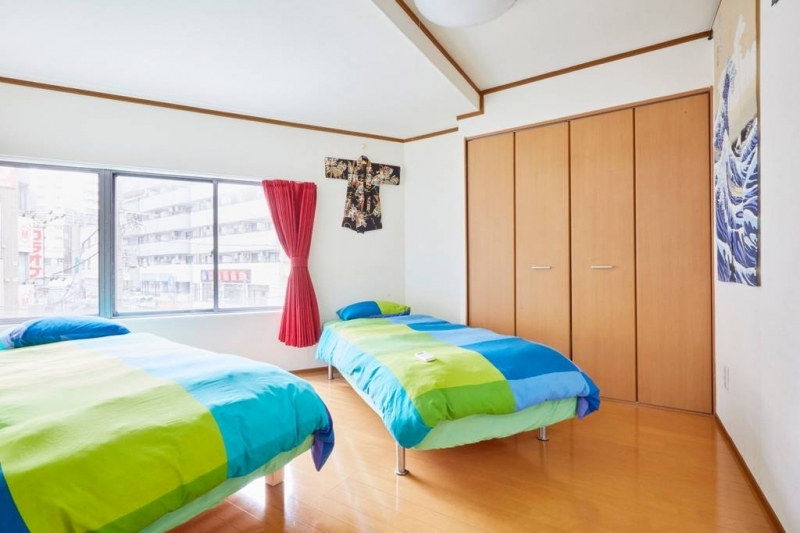 Spacious by Japanese standards, this apartment in the heart of Shinjuku is clean, neat and comfortable. 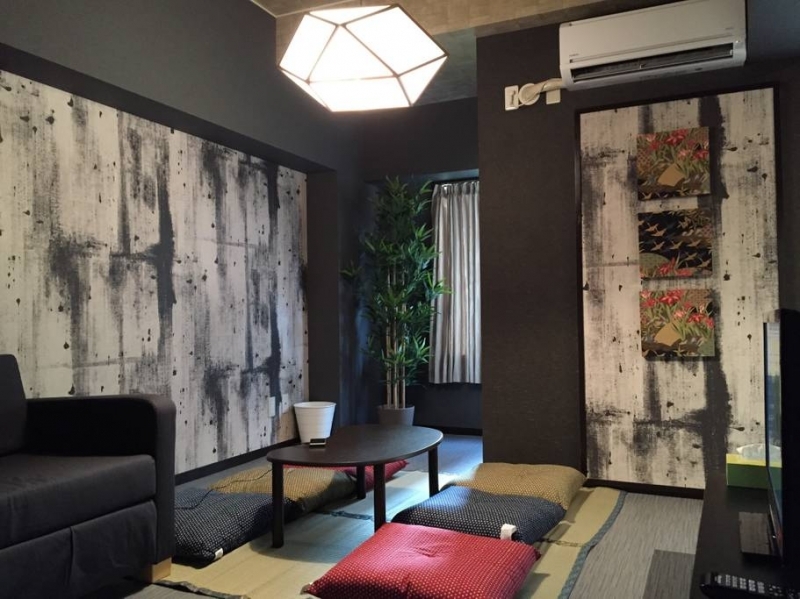 The hosts, Nao and Tsuyoshi, will take their time to explain all there is to know about the apartment and the surrounding area. 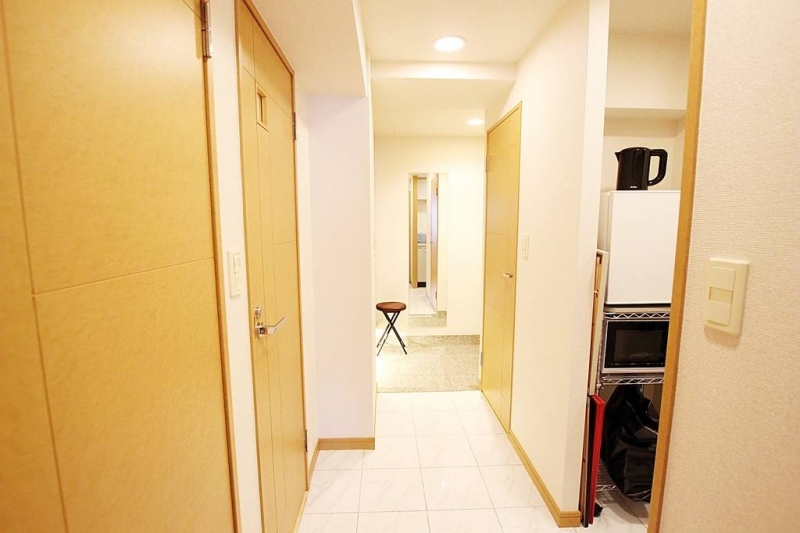 Steps away from the apartment is a Family Mart and a plethora of restaurants. Nishi-Shinjuku Station and Shinjuku Station (a major JR hub) are minutes away which makes getting around Tokyo super convenient. 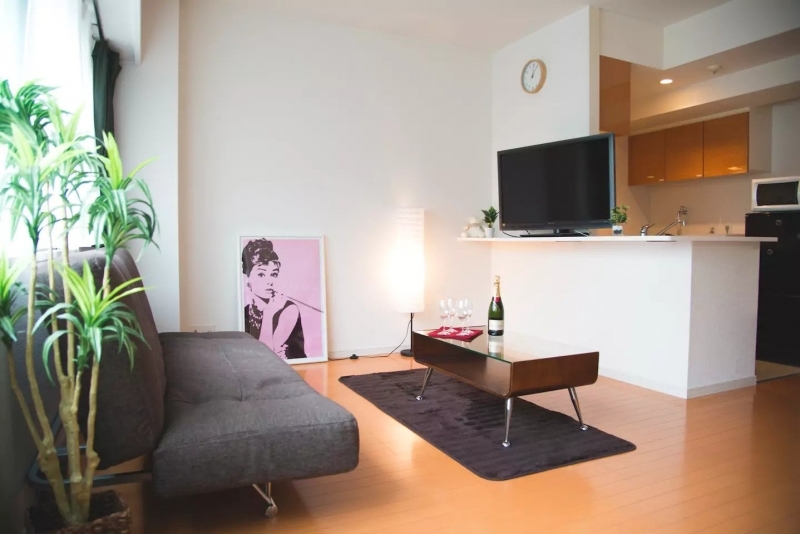 This beautiful flat is tucked in the up-and-coming Ebisu neighbourhood. One of the highlights of the flat is its gracious host, Akihiko, who wouldn’t mind staying up late to welcome guests with cakes and croissants. 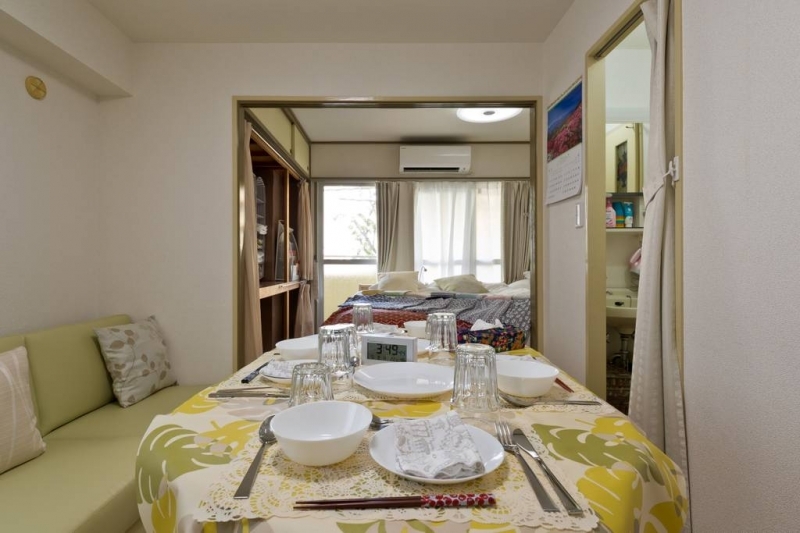 The flat has two bedrooms, a spacious living area, a kitchen, and a bathroom with a separate toilet. Antique furniture gives the flat a rustic touch. 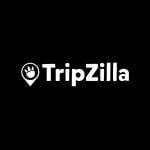 Coffee shops, museums and parks dot the area, and of course, restaurants and shops are aplenty too. The skywalk which leads directly to Ebisu Station is five minutes away, and from there, Shibuya is just one stop via train! A must-visit in the Ebisu area is the Yebisu Garden Place, a hub for shopping, dining and entertainment. 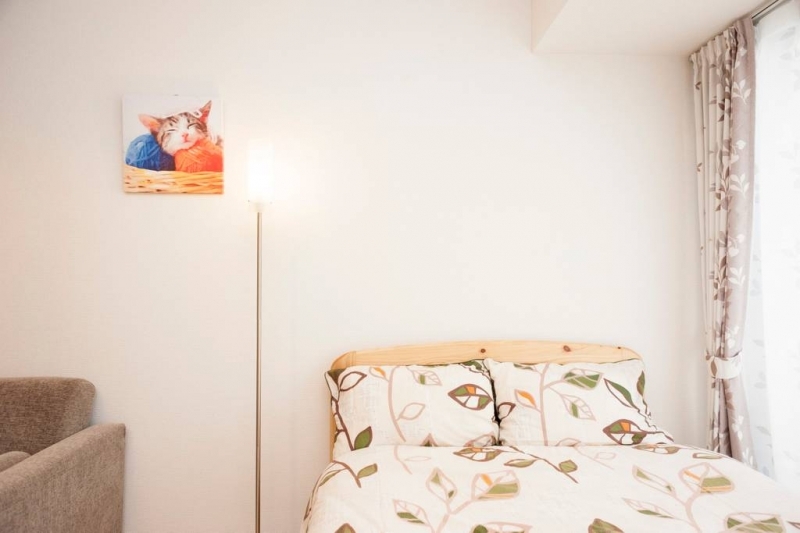 With this selection of Airbnb apartments, you and your kids will be sure to find a blissful haven to call home after an action-filled day in the city. 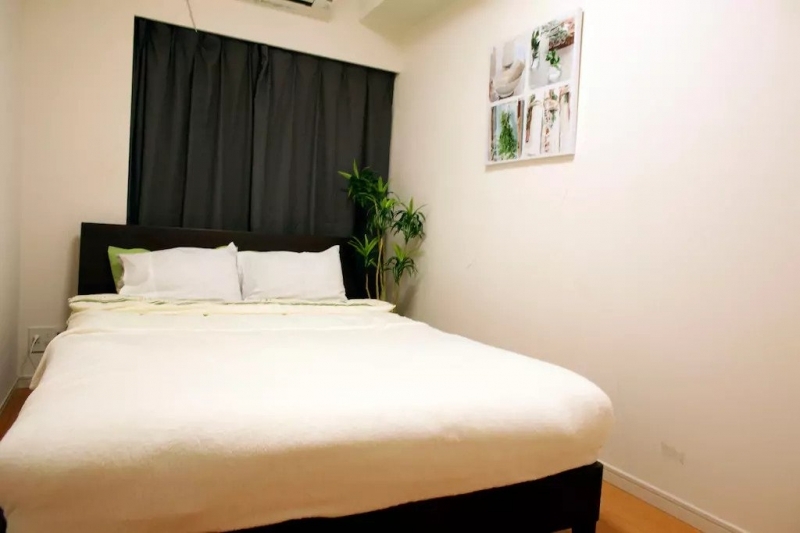 For more budget-friendly options, some of which can fit a family of three or four, check out this list of affordable Airbnbs in Tokyo .